Choosing the best database management system can turn to become a big puzzle for newbies. For those who have decided to go with MySQL, they still find it difficult with to many terms that related to each other and that is what this blog tends to solve. Trying to figure out how to start and which platform to install is a nightmare. The choice is tough with so many choices available out there. So I decided to lay down a basic difference of the localhost server platforms available to make your task easier. In this article, I have discussed basic difference between WAMP LAMP MAMP and XAMPP. All the application servers: WAMP, LAMP, MAMP and XAMPP is a complete package containing PHP, MySql and Apache Server. Each one can be installed separately which will work fine as well, but the installation of these packages is much faster and simpler than installing them one by one. WAMP, LAMP, MAMP and XAMPP acts as local servers which are used to develop PHP website on localhost. The primary difference between WAMP, LAMP, MAMP and XAMPP is of the operating system. WAMP is used for Windows, LAMP for Linux, MAMP for Mac and XAMPP can be used for any operating system. WAMP is used for Windows operating system only. * It is an open source platform. * It uses the Apache web server. * Relational database management system for WAMP is MySQL. * PHP (Hypertext Preprocessor) is the object-oriented scripting language. * WAMP is very easy to setup and configure. Read Also: Ten Advantages of Cloud Computing and why you have to join. LAMP is used for Linux operating system only. * It is also an open source platform. * Relational database management system for LAMP is MySQL. MAMP is used for Mac operating system only. XAMPP can be used for any operating system. * Its full form is x-os, Apache, MariaDB, PHP, and Perl. * X-os implies that it is cross platform application and can be used for any operating system. * It is free, open source, cross-platform web server solution pack and is developed by Apache Friends . * XAMPP comes with extra features like supporting of perl, filezilla, mercury mail and some other scripts. * It is simple, lightweight and easy to use for developers in creating local web server. So this is the detailed difference between WAMP, LAMP, MAMP and XAMPP. If you still can’t make a choice, I would suggest you to go for XAMPP as it can be installed on any OS and gives a suitable environment for development. Hope your journey in starting your web development career be fruitful for you. 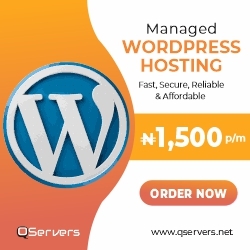 You can get a very good hosting plan from QServers. This hosting company is highly recommended by Akanne. Beautiful reasons why we use Technology in Business. Previous Previous post: The applications of Drones in our society today.